Official web sites booking engine. 4 star hotel in Paris near the avenue Marceau between the Champs Elysees and the Eiffel Tower. 4 star design hotel located avenue Marceau between the Champs Elysees and the Eiffel Tower. 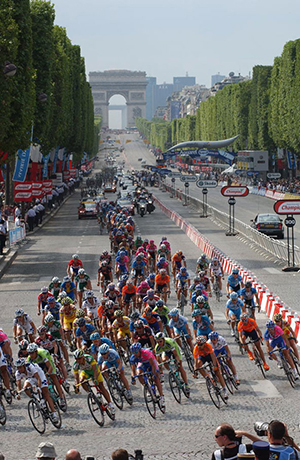 Luxury hotel in the Gold Triangle between Champs Elysees, Avenue Montaigne and Avenue George V.
The Tour de France has finished on the Champs-Elysees every year since 1975. While the stage is prestigious in itself, it is exceedingly hard to win on a breakaway, and one such victory constitutes a highly regarded achievement.